Wrinkles and breakouts? Maybe your skin is trying to tell you something! 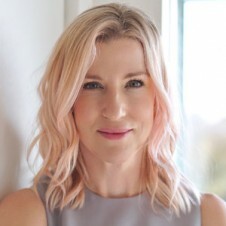 Renée Rouleau, celebrity esthetican and founder of the Renée Rouleau Skin Care Spas, shares her expertise to help take the confusion out of your confused skin. 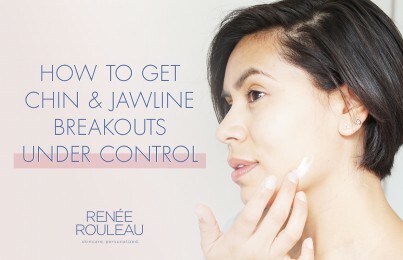 When adults break out, they automatically turn to harsh acne products for help, but adults also need to cater to skin that is starting to show the signs of aging. There is a way to address the breakout problems as well as to keep the skin nourished and healthy with anti-aging ingredients. When breakouts occur, people tend to want to dry out their skin to help heal the breakouts. The result can actually backfire because soaps will strip all the water and natural oils out of the skin, causing the surface of the skin to dehydrate. When the skin dehydrates, it causes dead skin cell buildup, which will actually cause more breakouts by keeping the oil trapped in the pores! Your skin cells need water to stay healthy; without water, your skin will be prone to more breakouts. Renée Rouleau AHA/BHA Cleansing Gel is a great alternative to drying acne soaps, as it will disinfect the skin without causing dry skin cell buildup. Many people feel the need to dry out their skin when breakouts occur. Trying to dry up skin prone to breakouts can backfire, as stripped cell buildup traps oil and leads to more breakouts. Toners without alcohol, on the other hand, are crucial for keeping the skin healthy and hydrated. Renée Rouleau Balancing Skin Tonic is naturally antibacterial to help fight breakouts, but will not strip the skin. Studies indicate that glycolic acid (the most effective of all alphahydroxy acids) helps to reduce past sun damage, smooth and soften the skin, unclog the pores to prevent breakouts, and keep the skin cells healthy. 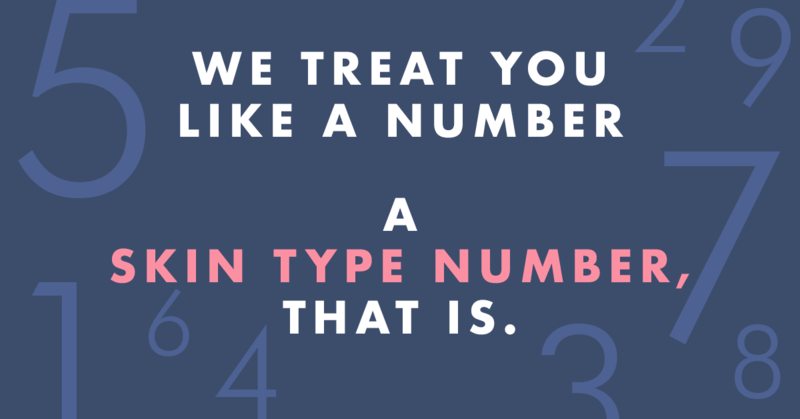 Most skin types should use a non-alcoholic formula that contains at least 10% glycolic acid. Renée Rouleau AHA Smoothing Serum 10%, 17%, or 20% is the perfect choice for adult skin prone to breakouts. Exfoliation is also important to fade lingering post-breakout red marks. Squeeze fresh lemon into hot water and drink when you wake up. This will help flush out and purify the body, reducing toxins that can cause skin sensitivities. This is great for skin that has a tendency to break out! Many people have heard that greasy foods and chocolate cause breakouts. When cyst-like breakouts are in the chin and jaw area, most often this is related to excessive dairy products such as ice cream, yogurt, milk, and cheese. Try cutting back, and watch your skin clear up! 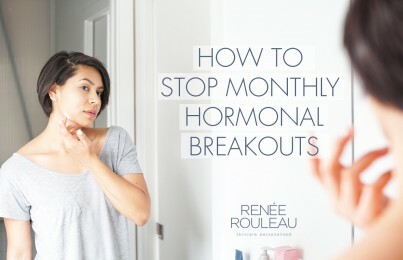 Or try Renée Rouleau Anti-Cyst Treatment. Wash cloths, buff puffs and aggressive scrubbing tend to aggravate acne by allowing bacteria deeper into the skin, which will cause further irritation. Many apricot- and almond-based facial scrubs have sharp grains that can lacerate the skin, causing bacteria to spread. Instead, use a gentle scrub with perfectly round grains that roll across the skin. 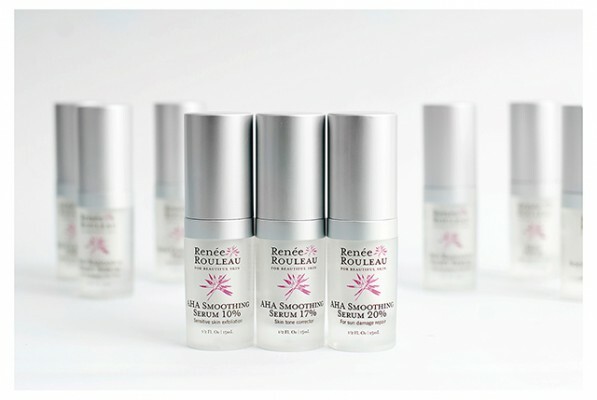 Renée Rouleau Micro Crystal Cream is the ideal way to get a good exfoliation without leaving the skin red and irritated. Exfoliation is also important to fade lingering post-breakout red marks. If you are prone to breakouts around your hairline or on your back, do not use any hair care products containing Panthenol. This is great for strengthening hair, but it can cause breakouts for some people. The life of a breakout is just 3-5 days, but when you pick at a blemish, the red mark can linger there for 1-2 months! We know it’s tempting, but you can make problem skin much worse by forcing bacteria deeper into the skin, resulting in scarring and further breakouts. A better solution for problem skin is a regular facial schedule, where your pores can be cleaned professionally. For those with problem skin, bacteria and oil can build up on your pillowcase and be reintroduced to your skin the following night. Invest in a stack of nice pillowcases, and make sure to wash them with a dye- and fragrance-free laundry soap. Many people with problem skin will skip using a moisturizer, thinking that they don’t need one since they already produce oil. Using an oil-free lotion will keep the surface cells hydrated with water (a must for acne), yet will not clog the pores. Try Renée Rouleau Skin Clarifying Gel. Many creams are based with Mineral Oil or Petrolatum, which we feel are too heavy for most skin types and often result in clogged pores and breakouts. To see if your cream is right for your skin, apply it to the entire face and wait five minutes. If you can still feel the cream on your skin, it didn’t all get absorbed, and the rest is sitting on the surface of the skin, suffocating and clogging the pores. Your skin acts like a sponge, taking in what it needs and leaving the rest on the surface. Lighten up your moisturizer, and you’ll find that your skin will be healthier with fewer breakouts.